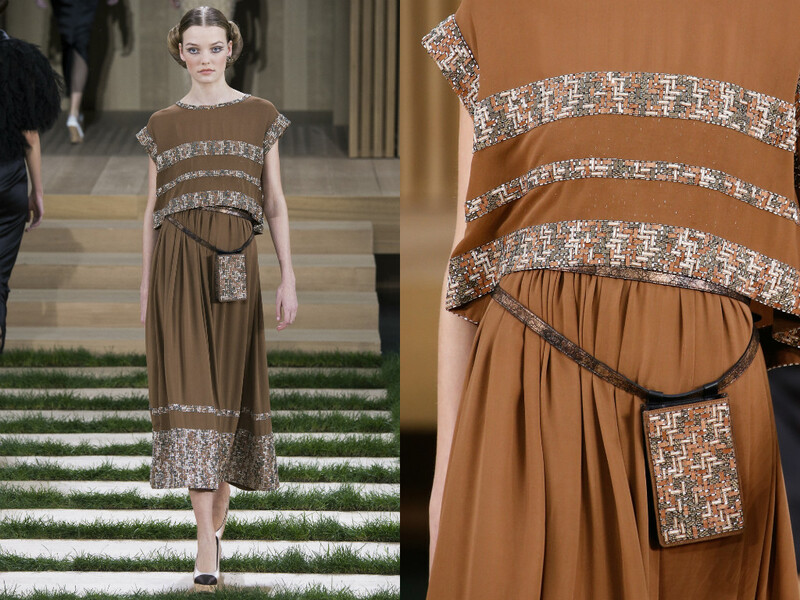 "Fashion is part of the events of our times." Said Karl Lagerfeld. 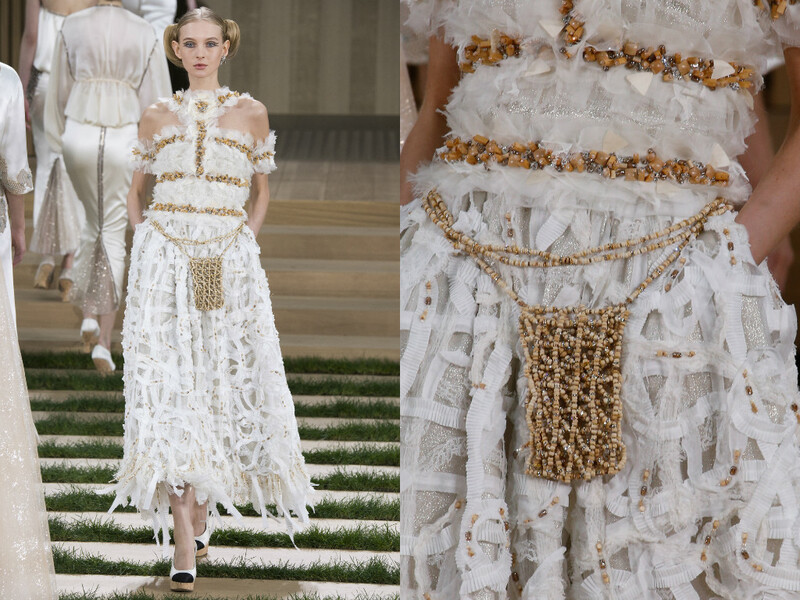 The thing that differentiates Chanel from the other fashion houses isn't just the fact the genius that is Karl is the Creative Director, but the shows themselves are almost like a performance. 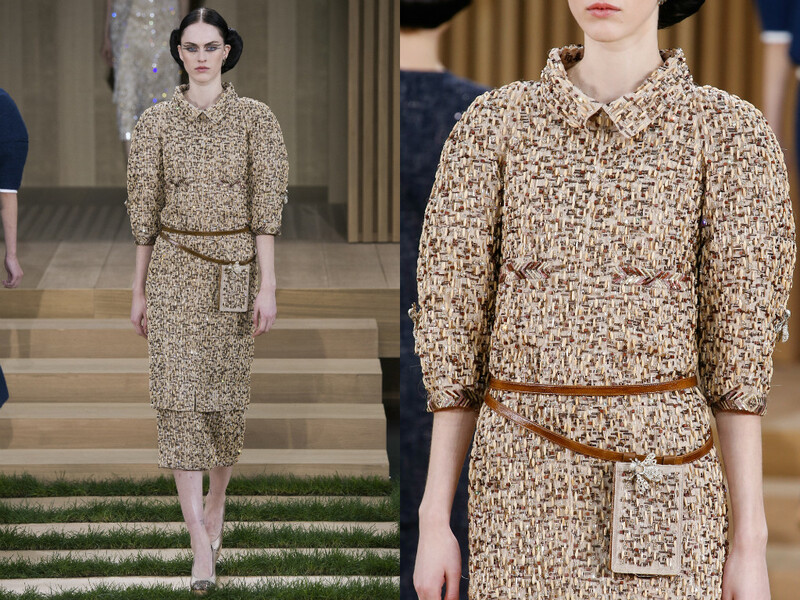 We have seen Chanel take us on a journey through the Chanel Brasserie for AW15, Chanel Airlines for SS16 and of course, Boulevard Chanel for AW14 - which was, and still is in fact, one of my favourite Chanel collection and show. 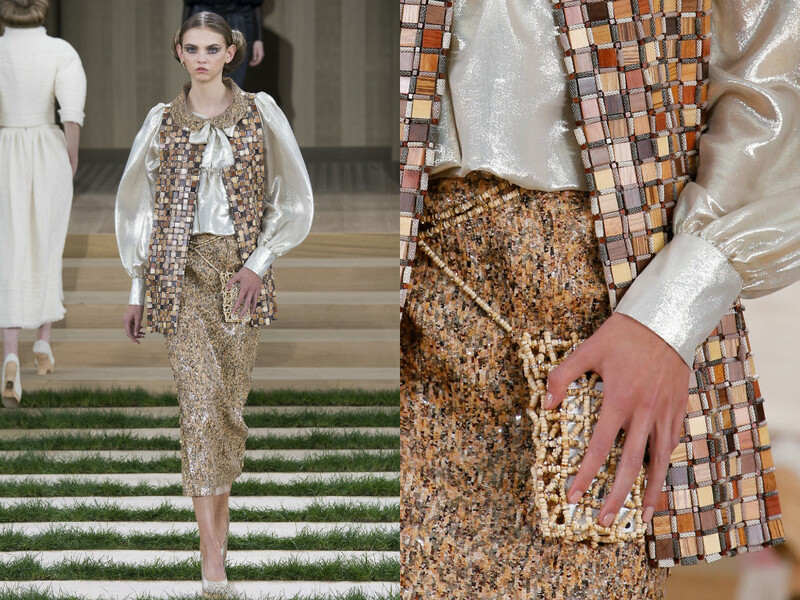 It was actually the same venue as the Fall Couture show which was transformed into a Casino. 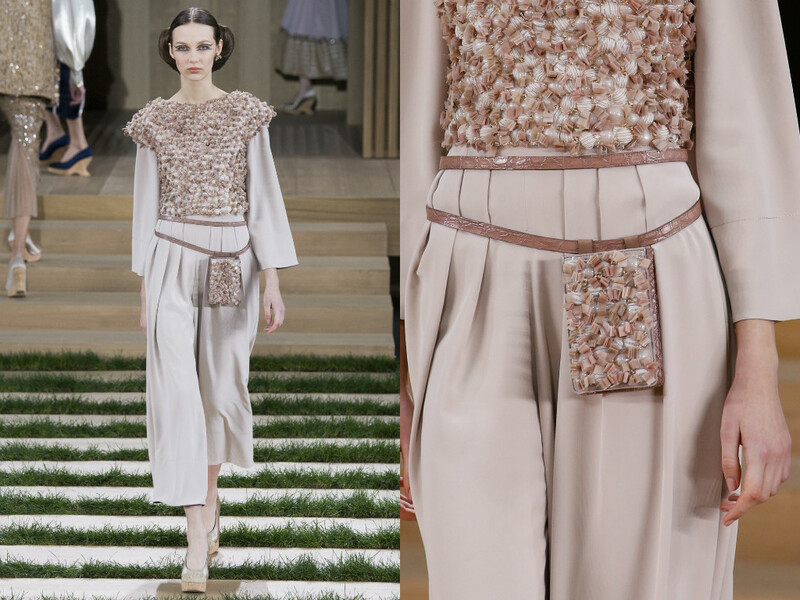 This refreshing collection was accompanied by the refreshing set of a Zen-inspired middle eastern area at the Grand Palais in Paris. The set was so well designed it seemed a thousand miles away from Paris. It truly was beautiful. 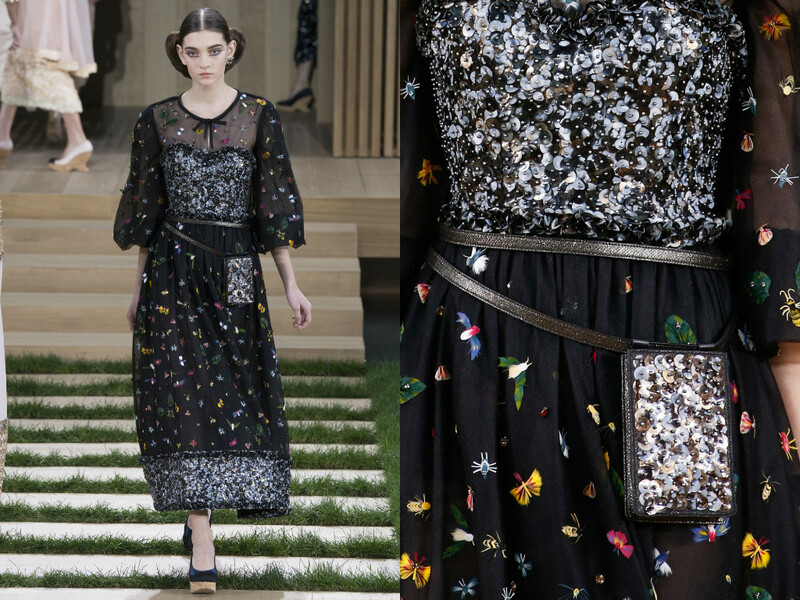 It is a complete contrast of course from the more bold, busy, loud atmosphere of the Chanel airlines in SS16, and was also different from the Chanel Métiers d’Art show which was set in Rome. It was as if the complete contrast in seasons, affected the scenery and mood. It was majestic, tranquil and fresh. 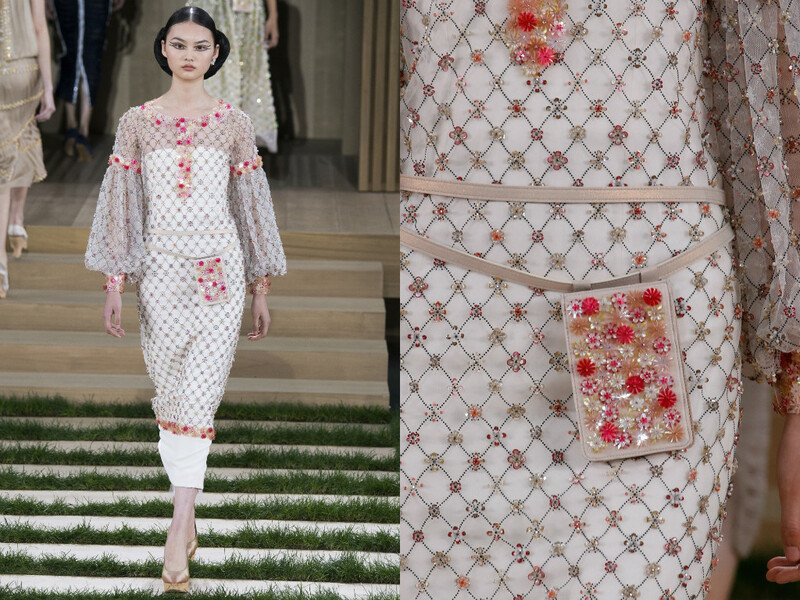 Everything we want from a Spring collection - whether that be Ready-to-Wear or Couture. 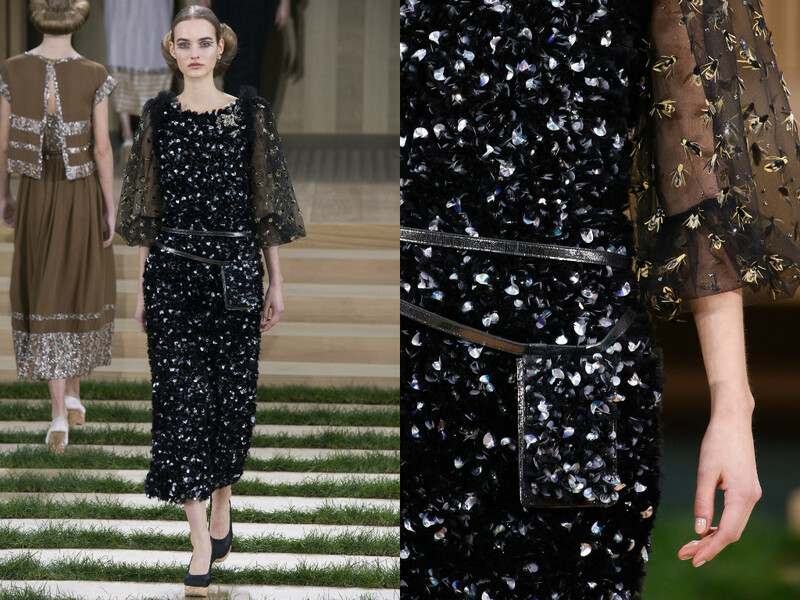 Cara Delevingne at the Spring Couture 2016 Chanel Show with Pet Pooch, Leo. 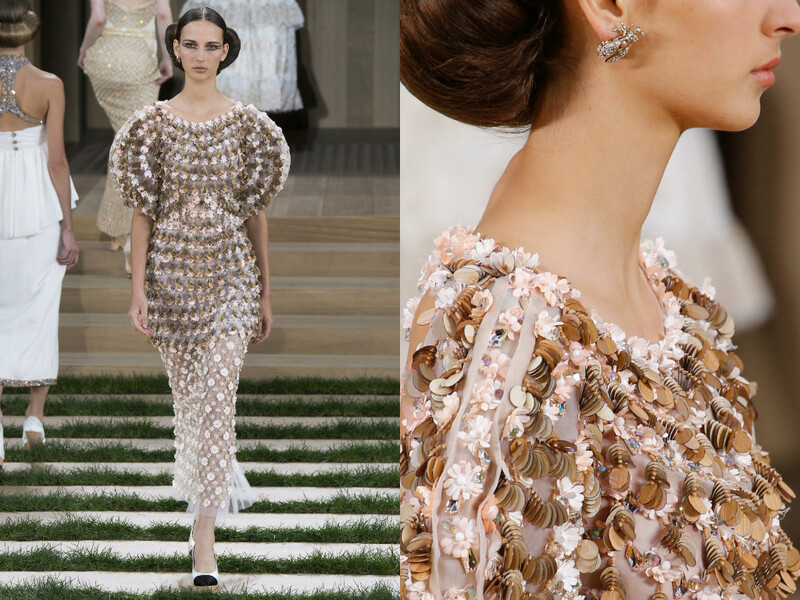 As this was a Couture show, we knew that what was going to be presented to us was going to be mesmerising. 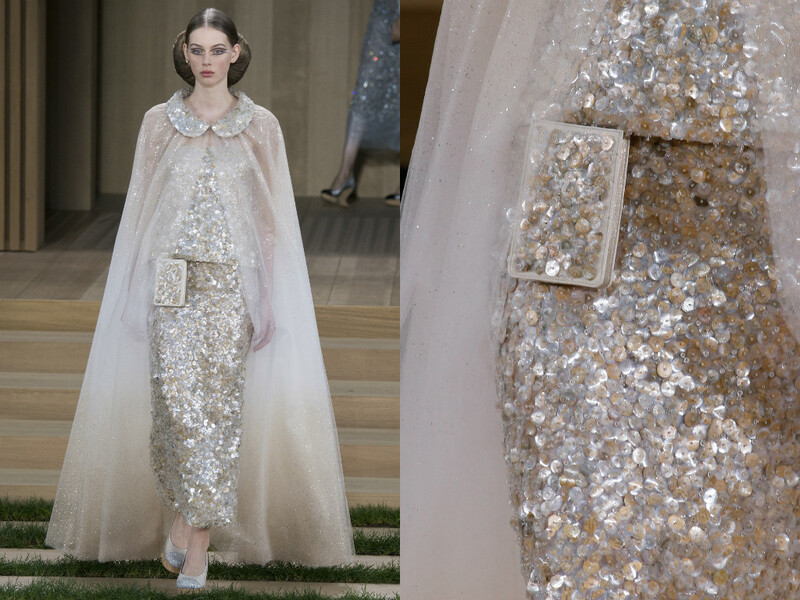 On Social Media, Chanel often share behind-the-scenes clips of Couture work, and every garment is hand-crafted, designed and made. 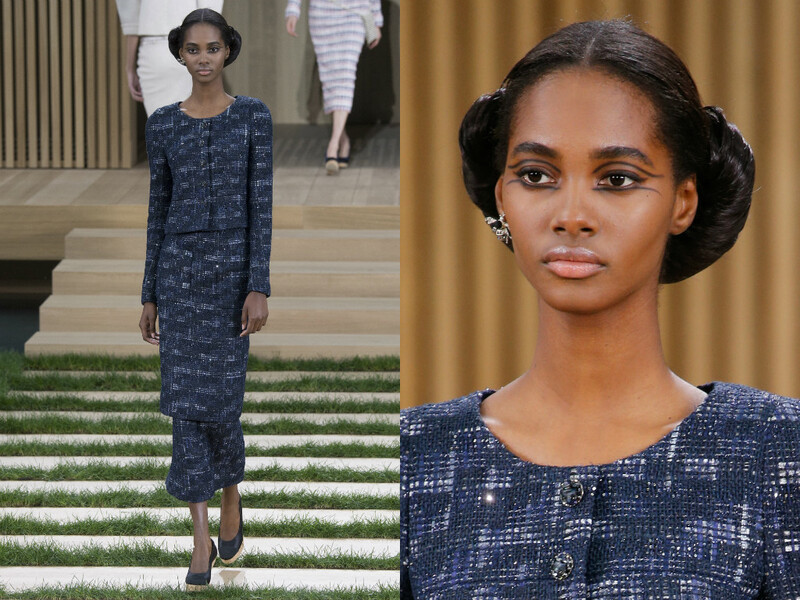 It truly is remarkable seeing the final look actually come to life on the runway. It's inspiring actually. 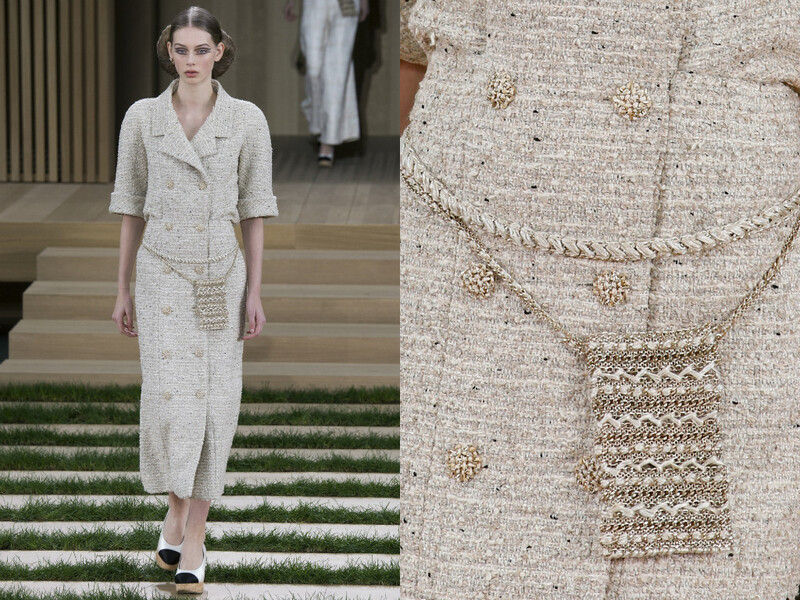 Chanel is so luxurious and impeccable, that looking at the details on the garments is incredibly satisfying and forces the industry to gasp in awe at the Couture pieces. 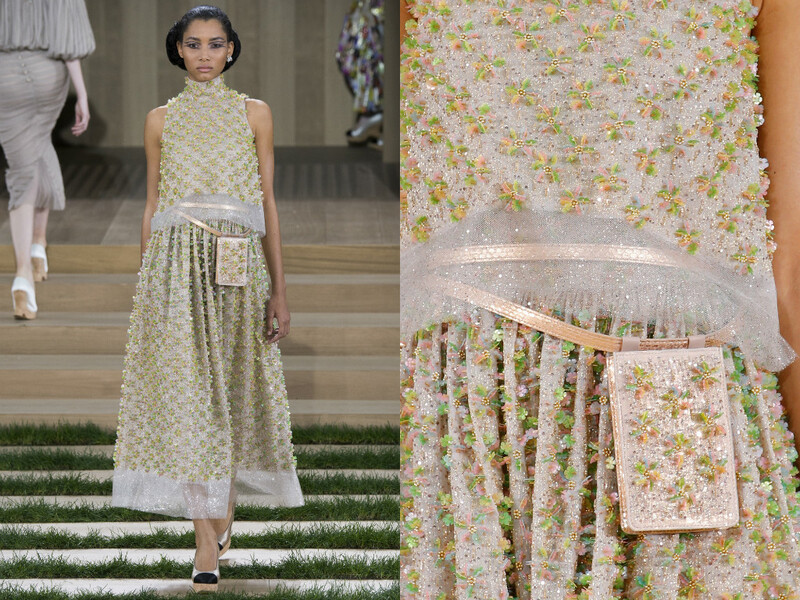 The serene collection was complimented with the beautiful soft tones and embellishment but was contrasted with crisp black garments which did give the collection a larger sense of diversity. 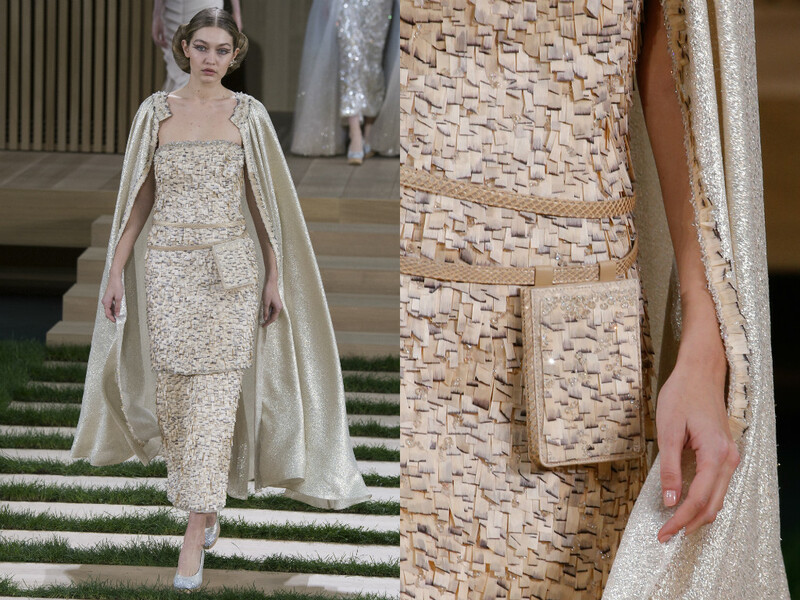 Chanel Couture, as mentioned, is all handmade. 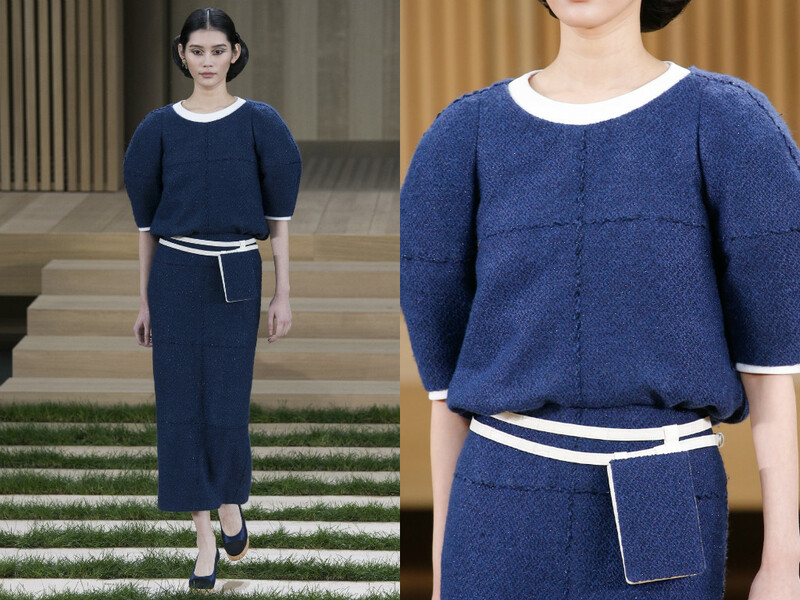 It takes a perpetual amount of hours to create the garments and usually last a lifetime. 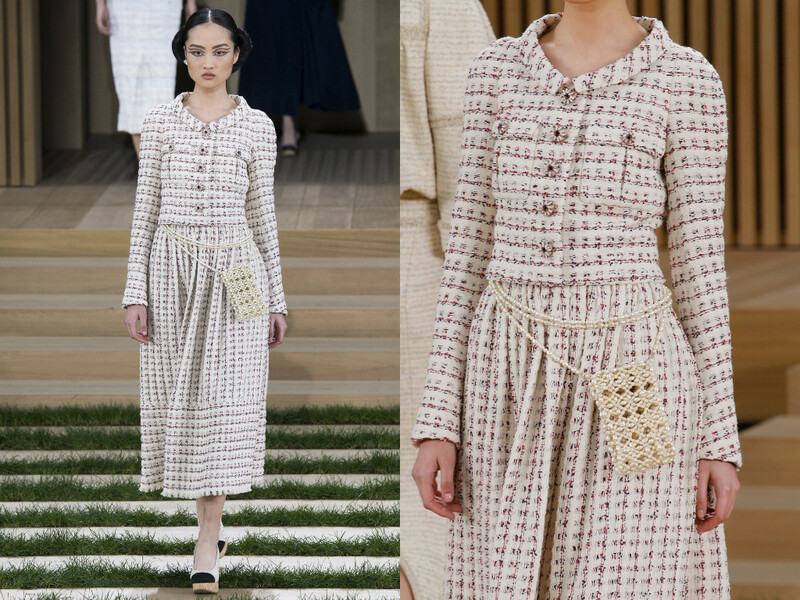 The quality is immaculate, especially if the garment has been made by Chanel. 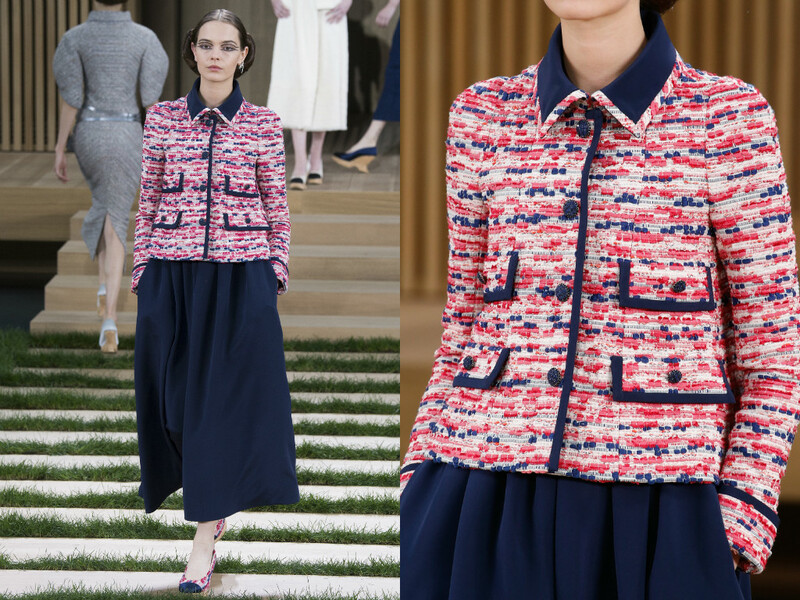 As always, Karl didn't disappoint. 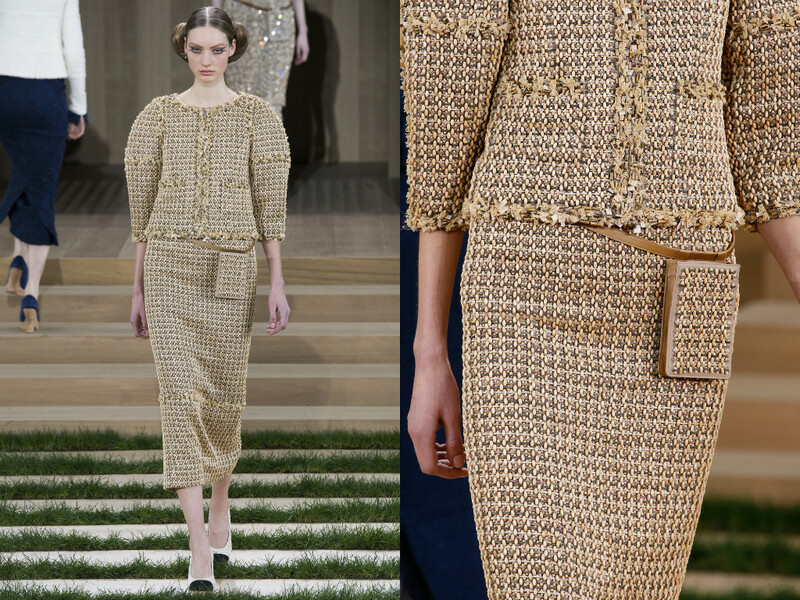 He gave his loyal Chanel Clientele a collection they all know and love. 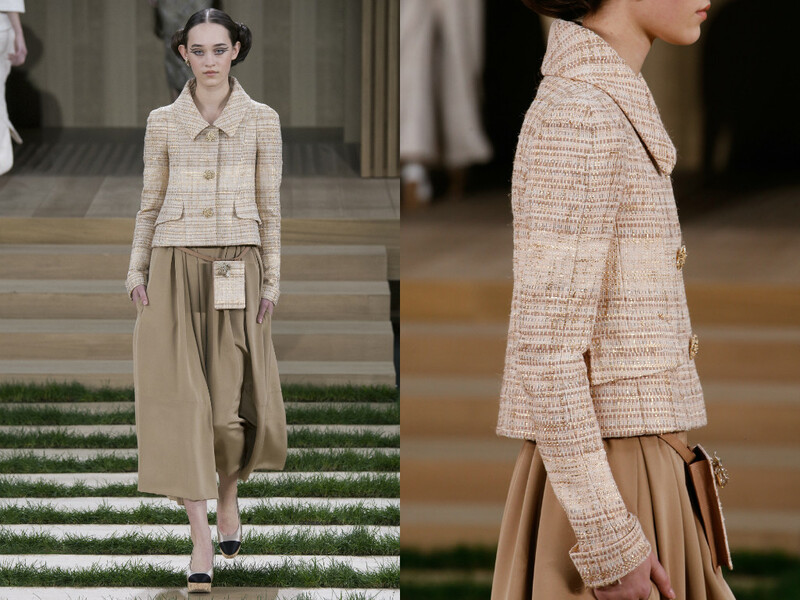 The classic Chanel bouclé suits the runway, the beautiful tweed fabrics were the foundation of these pieces as well as jackets puffed at the sleeve. 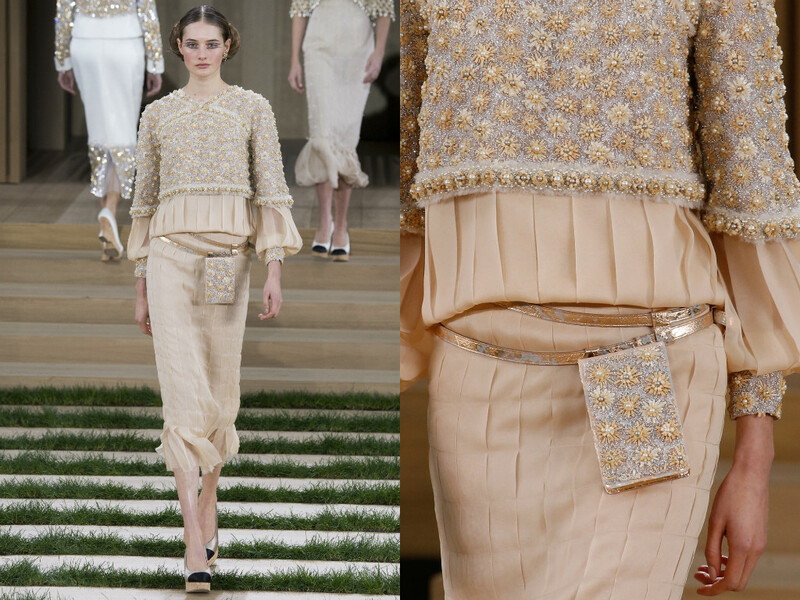 These features are what makes Chanel - Chanel. 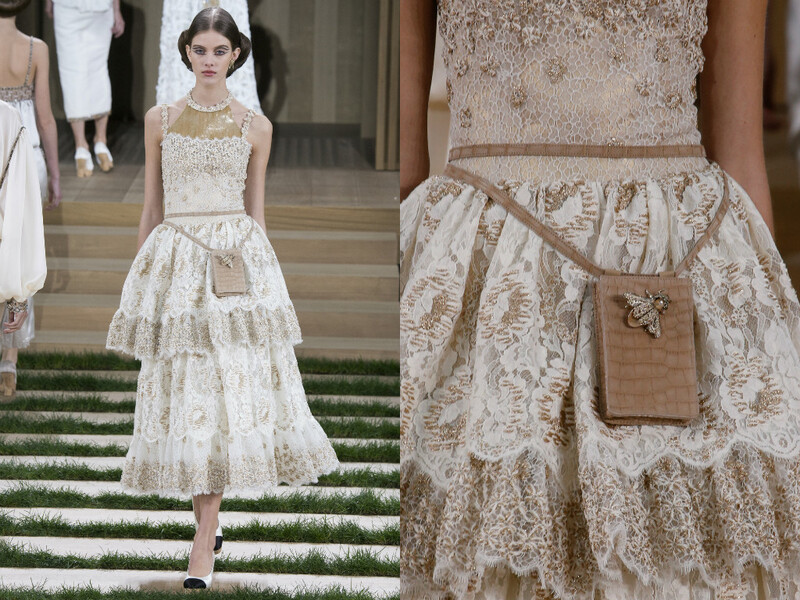 It is refreshing however, to see Karl revamp this each season. 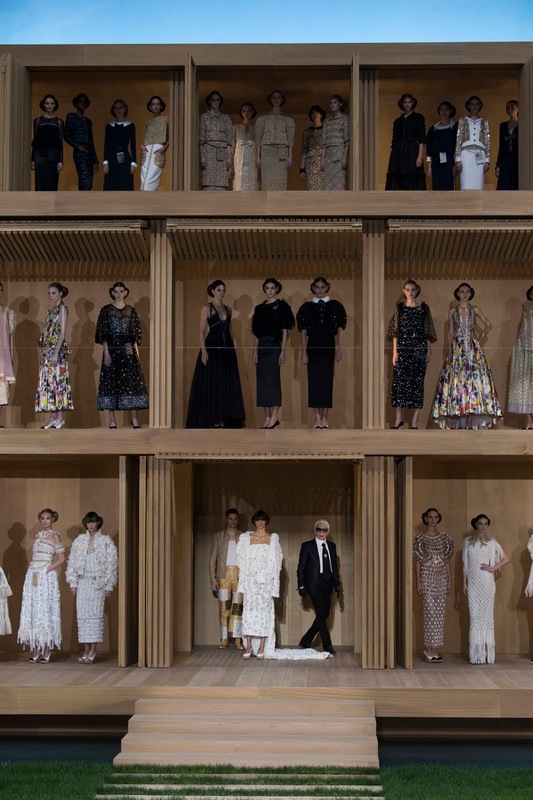 Most designs would perhaps alternate the classics to capitulate with today's trends - but Karl sticks to what Coco Chanel did and what the house is known for. 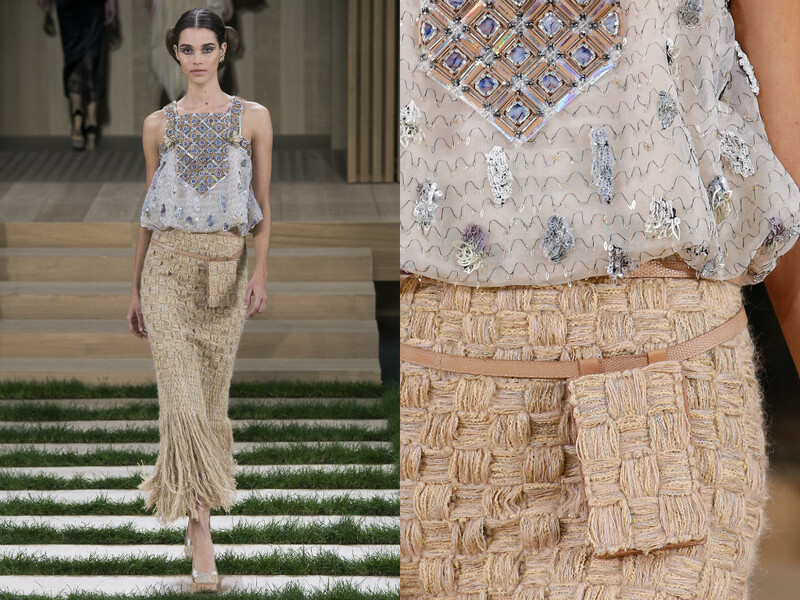 It was the evening-wear of the collection which is what really saw Couture push through. 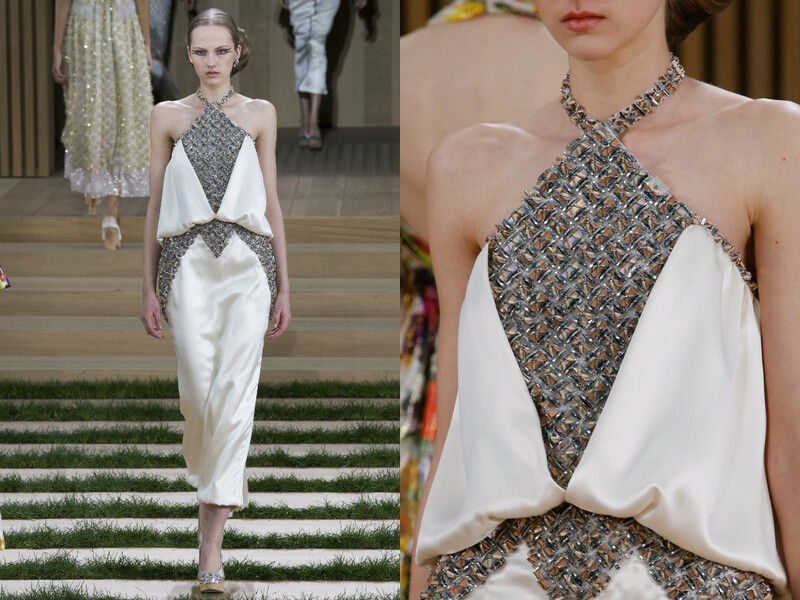 The fabrics, shape, embroidery, everything is what made this one of the best Couture collections this Paris Week. 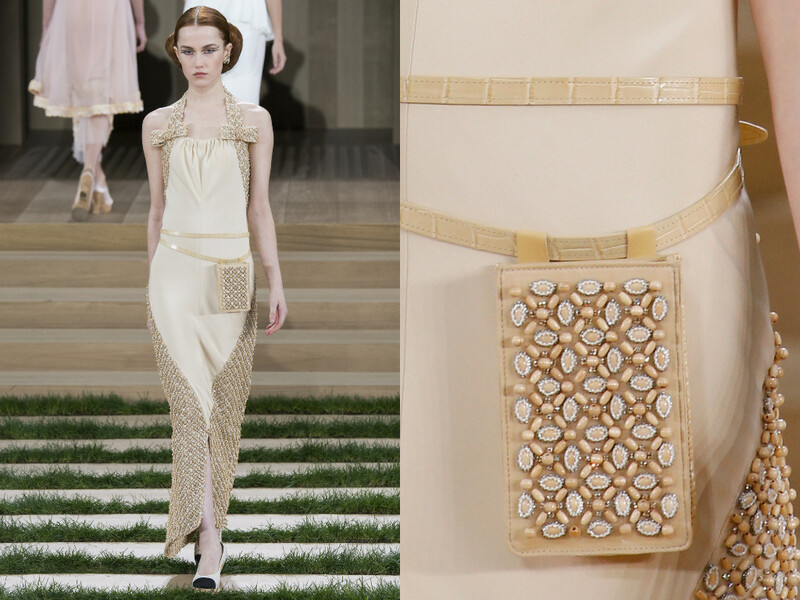 Gold was introduced, being presented in the form of a jacket and skirt which was teamed with a gorgeous geometric pailletes. 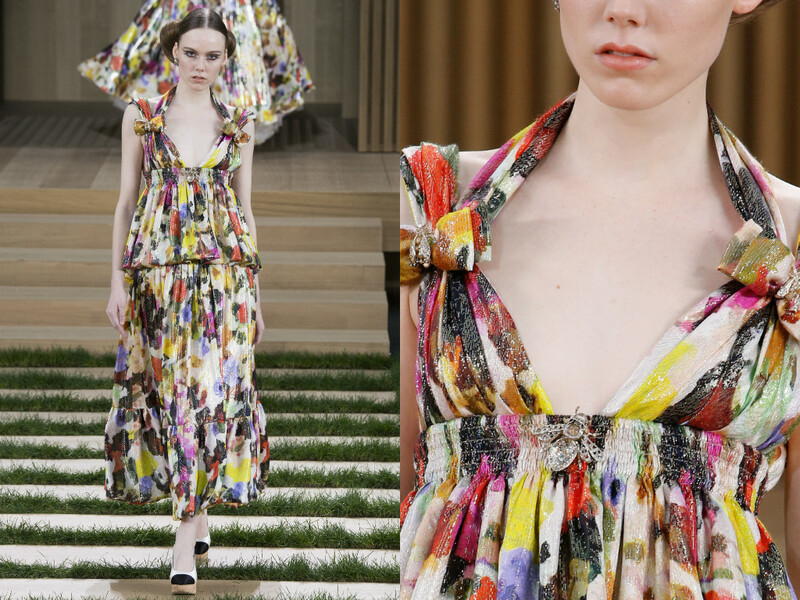 My favourite piece must have been the absolutely captivating multicoloured gown with a tasteful lounging neckline decorated with dashing embellishment. It truly was a remarkable piece of the collection for me. 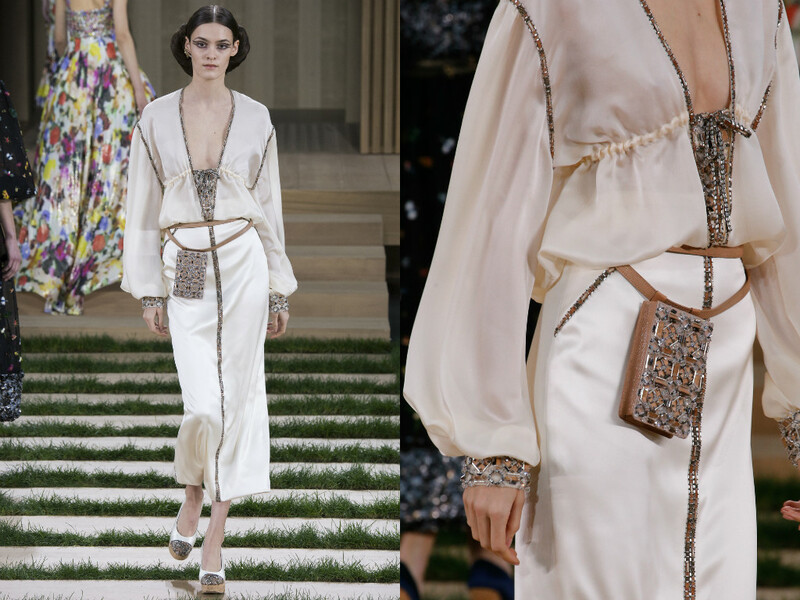 Beautiful silk fabrics graced the runway with hints of crystal embellishments and I think these pieces were the garments which really shows how much work was actually put into these pieces.